Children Holding Guns is a collection of ideas from my Shell-scrape nights and Training-shed waits. Its name is derived from a verse in the army song "Training to be Soldiers". 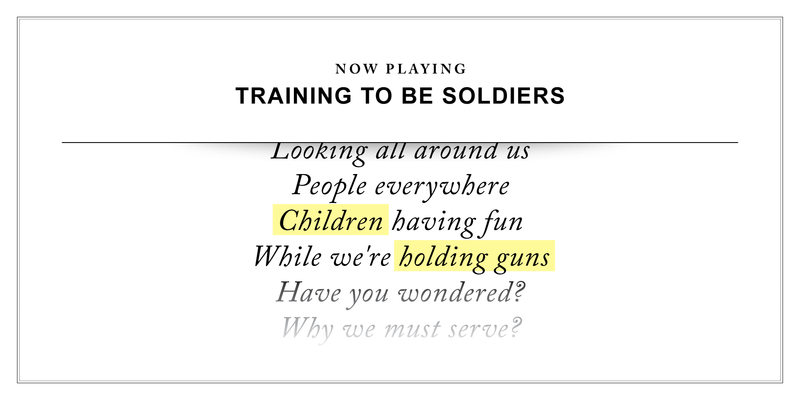 Since recruits are often treated like children, hence Children Holding Guns. You can keep yourself updated on our Instagram page @ChildrenHoldingGuns.